"Sampath Speaking" - the thoughts of an Insurer from Thiruvallikkeni: Biki, the first bionic fish to enter the waters !! Biki, the first bionic fish to enter the waters !! The Centre has passed new rules, aimed at curbing cruelty to pets, addresses a few types of animals — dogs, fish and livestock. The new rules, issued as a notification under the Prevention of Cruelty to Animals Act, 1960, will require dog breeders and owners of livestock and aquariums to register with local Animal Welfare Boards. They will also have to provide an annual report on the health and living condition of their animals. Shops selling fish for aquariums will have to register and ensure that the fish are kept in hygienic conditions. “No fish shop shall trade in animals other than fish tank animals” it read. My love for pet fish started with the drying of Kairavini Pushkarini in summer 1976-77, friends catching fish and keeping them as pets in bottles (no pet bottles at that time !) and later with Corporation staff coming house to house for dropping guppies in wells to control mosquitoes. In some ways amongst all other pets, fish keeping is stupid, yet is engages one to keep sitting idle looking at the small fish inside the bottle swim tirelessly throughout its life. Fishery biologists at UC Davis and California Trout, a nonprofit activist organization, issued a 100-page report recently, and its conclusions were alarming. It predicted that three-fourths of California’s trout, steelhead and salmon species will become extinct in the next 100 years. Within 50 years, nearly half will die off. The biologists lump these related species under one name, salmonids, and call them “the iconic fishes of the northern hemisphere.” The salmon and steelhead are anadromous, i.e., they’re hatched in freshwater, swim out to sea for a while, then return to the rivers of their hatching to spawn offspring. California has 21 such species. Why do they hang out in the ocean? “To get large. If you’re a bigger fish you can lay more eggs and have more babies,” says the Conservation director for California Trout and one of three biologists on the study. “This has allowed them to evolve and survive. Salmon go out to sea to get fat on marine nutrients that they can’t get in fresh water. All those nutrients normally wouldn’t be available in rivers, but the salmon bring some back to jump-start their young.” Of course, the salmon die after spawning. That fertilizes the rivers and plants. And it feeds the bears and other animals. It’s amazing how nature works all this out — until humans muck it up. The steelhead spawn and live on. They beat it back to sea and return once or twice more to mate and reproduce. The unmanned underwater vehicle (UUV)—designed with advanced bionics tech developed for arctic research—earned more than triple its crowdfunding goal in just four days. As of press time, BIKI raised more than $79,000 (of its $20,000 target) from 140-plus backers. 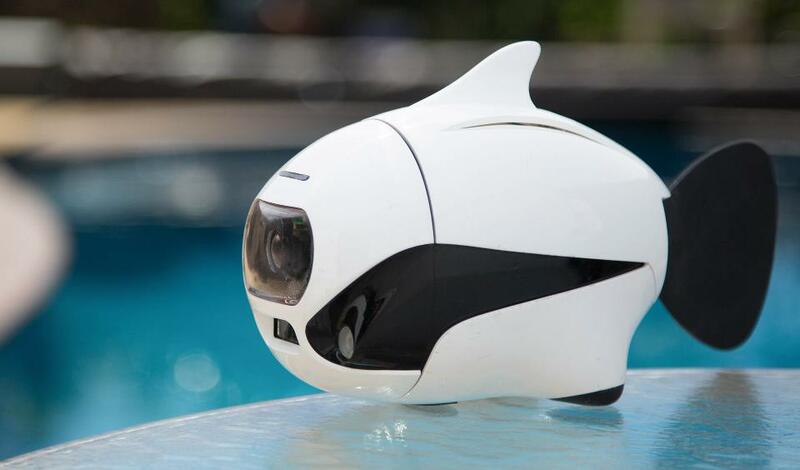 Boasting automated balance, obstacle avoidance, and a 4K camera, the fish-like device lets users “visualize the underwater world from a completely new perspective,” according to the Kickstarter campaign. Drop it into the pool, take it on a fishing trip, or go diving together with 90 to 120 minutes of video capture, at depths up to 196 feet. Moving at only 1.12 mph, BIKI looks and acts like seafood. But instead of gills it had a 150-degree wide-angle, 4K camera lens, able to capture videos and photos with the press of a remote button. The gadget’s 32GB internal memory stores 2.2 hours of 1080p video or 5,243 8-megapixel images. Underwater fun doesn’t come cheap, though: BIKI is expected to retail for $1,024 (Rs.66000 approx). Early bird fish backers, however, can save a few hundred bucks by pledging $599 for one drone or $1,199 for a pair of two. The BIKI swarm comes with five devices, and is estimated to ship in September. Thirty percent more efficient than other UUVs on the market, BIKI also comes with an infrared positioning sensor and a waterproof remote control. “BIKI can maneuver just about anywhere,” Robosea CEO Minglei Xiong said in a statement. 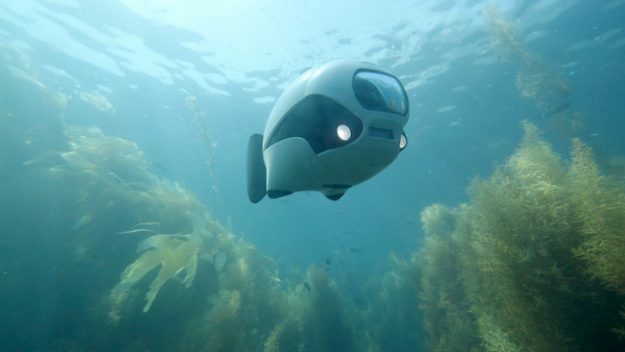 “You can also design your own routes … and, if the transmission is somehow lost, it will automatically return to base—all the while sending its real-time location to your mobile device.” There are 57 days left to snag your own bionic robot fish, available in white/black, yellow/black, or red/black. Since it’s not out yet, we can have a look at the specs for an idea about the BIKI.